Audubon scientists have developed a powerful new climate model that predicts the future ranges of North American birds under the three possible future climate scenarios. Using 100 years of Christmas Bird Count data collected by Auduboners like you, Audubon scientists have accurately modeled the relationship between climate information and bird observations, and projected that into the future under a range of emissions scenarios. The result is a dazzlingly specific picture of future bird ranges in an uncertain climate future. The model contains 100,000 data layers and 3 terabytes of data, and covers more than 500 North American bird species. The model will show which birds will be at high risk of extinction if emissions continue to increase, creating an invaluable new way for Audubon to discuss and address climate change. It also shows areas of habitat that will likely be stable under all future emissions scenarios, enabling Audubon to identify “stronghold” habitats that birds will need to survive in the future, creating a critical new basis for Audubon’s work to help birds adapt to climate change. The model results are currently being summarized for review in prestigious peer-reviewed scientific journals. The model could be released as soon as October, but the exact timing will be contingent on Audubon’s model and analysis receiving scientific validation from credible sources. Audubon chapters can expect to receive information in advance of the rollout providing an overview of the modeling effort and specific examples of birds in your state that are threatened by climate change. Over the coming months, Audubon’s national staff will be launching a nationwide One Audubon grassroots campaign based on the model’s findings to create a new conversation about climate change in America, and help bring about policy changes that reduce emissions to safer levels and protect critical stronghold habitats. Stay tuned! 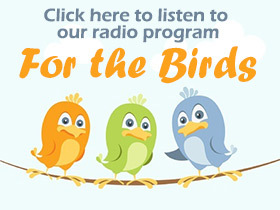 Birds & Wine – a Great Pairing! 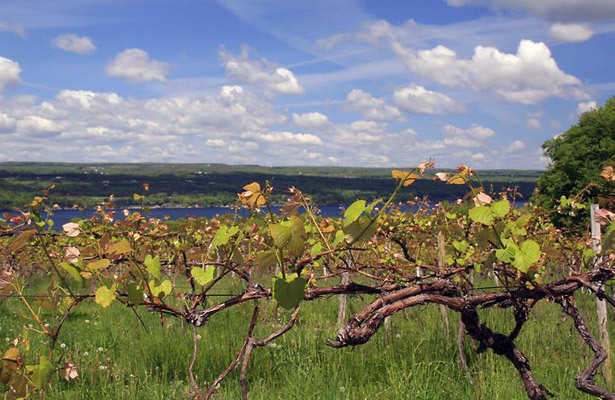 Join Audubon for a camping trip to the Finger Lakes wine and bird country on Friday & Saturday, September 13 & 14, 2013. We will visit the Montezuma Wildlife Management Area & National Wildlife refuge to witness the annual fall bird migration, especially the shore birds that use the Montezuma ponds as resting spots. We will follow this with stops at local wineries for a taste of the famous local wines. Camping on Friday and Saturday nights will be at the Cayuga State Park on the west shore of Cayuga Lake. There will be camping fees and some fees associated with wine tasting. This trip is limited to fourteen people, so sign up early! There are plenty of campsites, so it is not necessary to reserve one prior to this trip. But, if you are not the tent-camping type, and want to reserve a camping cabin, search “Cayuga Lake State Park” to check cabin availability. Please sign-up with Audubon if you reserve a cabin so that you are included in our group limit of fourteen people. For further information and to sign up, contact us by September 1st at audubonworks@gmail.com or call (570) 253-9250.